Indulge your appetite in the quality cuisine that Clinton has to offer. Whether it's all you can eat at a tasty buffet, or a small hometown café, there will be something for every appetite. Unfold your napkin and roll up your sleeves for a sensational meal. Clinton area restaurants are sure to satisfy even the hungriest of visitors. We serve moist succulent mouth watering pulled pork, ribs, BBQ chicken, and brisket with just the right amount of smoke. DJ’s own secret sauce makes our smoked BBQ Ribs melt in your mouth. A relaxed family atmosphere with much more than just BBQ. Gourmet Specialty Coffee and Espresso Drinks, Loose Leaf Teas, Freshly Baked Muffins, Scrumptious Cupcakes, Amazing Panini and MORE! If you love coffee we are the place. We have hot, cold and blended drinks. Try a smoothie or protein shake. Located inside Hy-Vee. Inspiring and nurturing the human spirit—one person, one cup, and one neighborhood at a time. Featured menu items include Build a Burger, Hand Battered Fish & Chips, Hand Cut Ribeye, Chicken Parmesan, and a huge selection of liquors, beer, wines, and cordials. Located in Imperial Lanes. Prime rib and pizza. Stout's Irish Pub is a true Irish Pub! Serving Drinks and food daily! Your neighborhood grill and bar, the way it was always meant to be. Food, drinks and you. 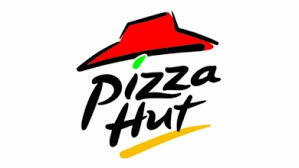 Bakery, Authentic Chinese Cuisine, Fresh Pizza & Pasta Daily, Salad Bar, Full–service restaurant with wait staff. Serving America what America wants. Rastrelli’s offers an enticing menu full of authentic Italian dishes, Regional American specialties, and our famous bread and salad bar. Serving only the finest foods while providing the highest quality service with superb dining experience. We are open on the Riverfront during the spring and summer months. When it is too cold, we move operations inside at Paul's Discount. Quaint diner with daily specials. Stop in and taste why we were voted Best Margaritas 6 years in a row and Best Mexican Food 2 years in a row!! Wide variety of Pizzas, Pastas, Sandwiches and our famous Chicken George available for you to pick up, or for us to deliver. The most delicious pizza pie in the Midwest and maybe THE WORLD! Enjoy the same famous pizza and tacos that have been a part of Northwest Illinois since 1973. 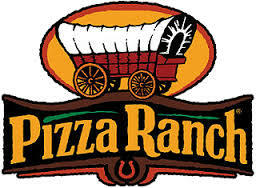 Pizza Ranch serves legendary pizza and chicken in 180+ buffet restaurants in 13 Midwestern states. Menu includes pizza, pastas, & sandwiches. Dine in, carryout, and delivery. Family owned business for over 45 years.